petição: Pledge to Ditch Single-Use Plastics in 2019! Pledge to Ditch Single-Use Plastics in 2019! This new year make a pledge for the planet. Save our big blue backyard by giving up single-use plastics in 2019. Our oceans are drowning in plastic pollution. Ancient turtles, playful dolphins and awe-inspiring whales are suffocating under the pressure of plastic waste. 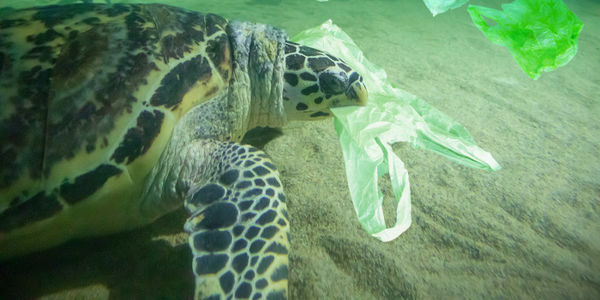 We need your help to protect our marine life against the threat of plastics. In 2019, you can make a huge difference with one small choice. Make the pledge today - and give up single-use plastics including straws, bags and cutlery to save the animals who are choking on them. Sign the pledge today and join our special team of plastic warriors committed to turning the tide on plastic pollution. When you sign up to the campaign with AMCS, we will help you make a huge impact for our oceans, and email you real ways to make a big difference for our oceans with just a few moments of your time.